Well, it's summer, and that means two things: travel, and kids going off to camp. We'll soon send our eldest off for a week at sleepaway camp for the first time, and I'm starting to think about all the supplies she'll need. I remember my mother made me a laundry bag when I went to camp. 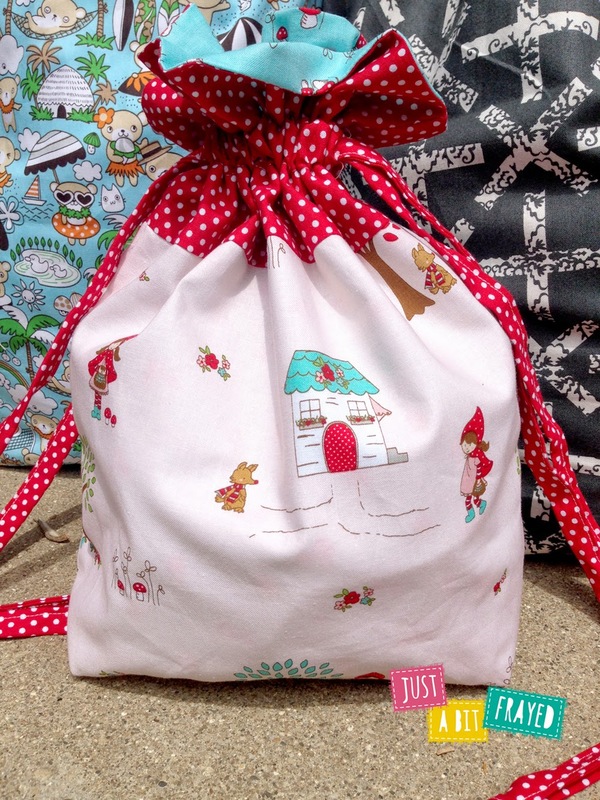 Jeni Baker's got a great laundry bag solution, the lined drawstring bag. The pattern has directions for eight different sizes. It has a myriad of uses. 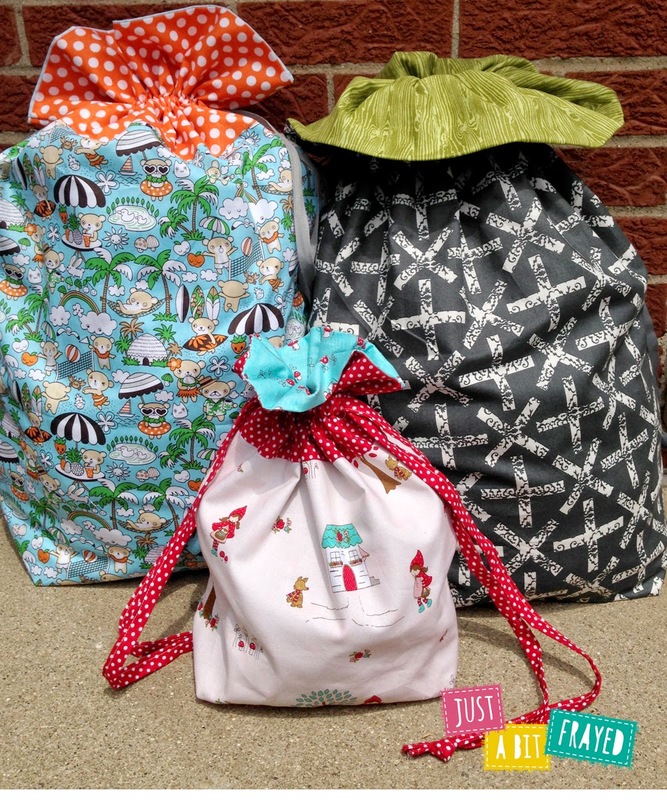 Recently, Pink Castle Fabrics's owner, Brenda (who blogs at Just a Bit Frayed), whipped up a few lined drawstring bags for her family's summer travels. I especially like the one with the koalas on the beach! She has also put together a kit for making that adorable Little Red Riding Hood bag. Using these darling fabrics by Tasha Noel, and a coordinating red dot, it also includes the full pattern.